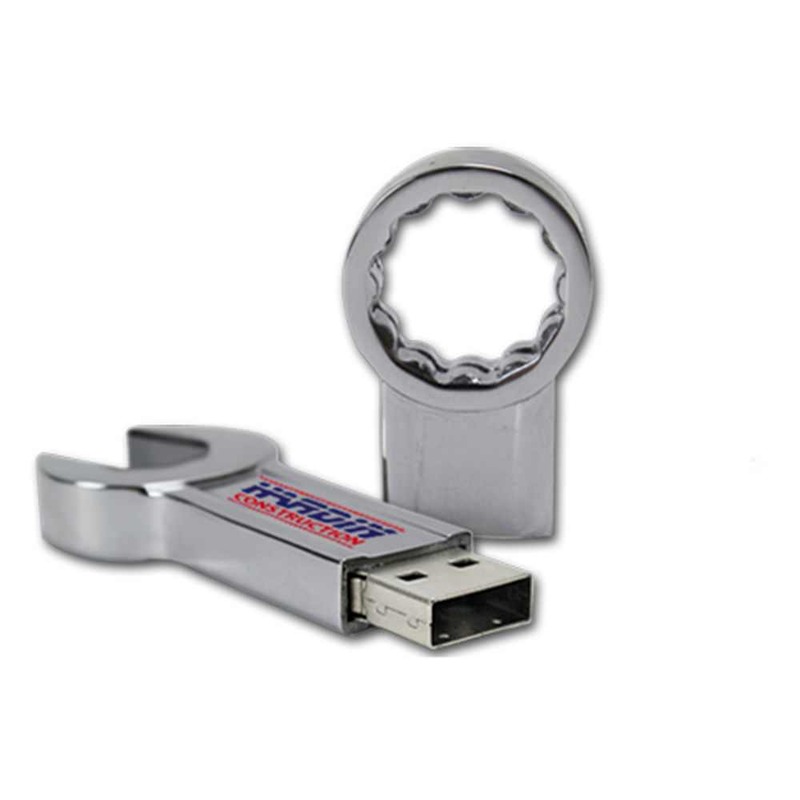 Fasten the awesomeness of your company with this Combo Wrench Shaped USB Drive! 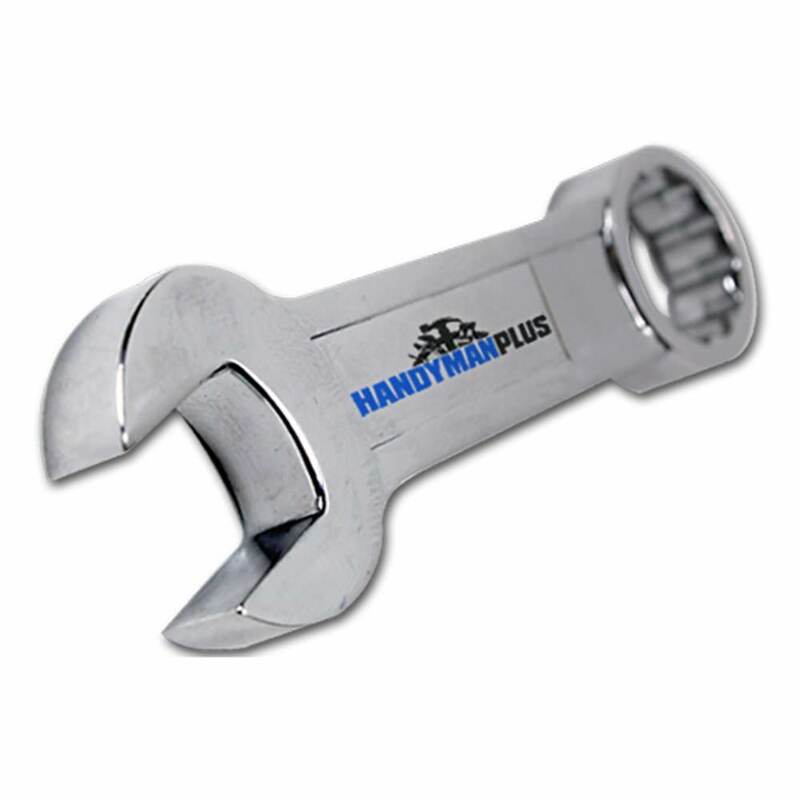 This wrench-shaped USB flash drive is a fun memory stick that can store files on the go, just like how a wrench can fix certain things in a snap! 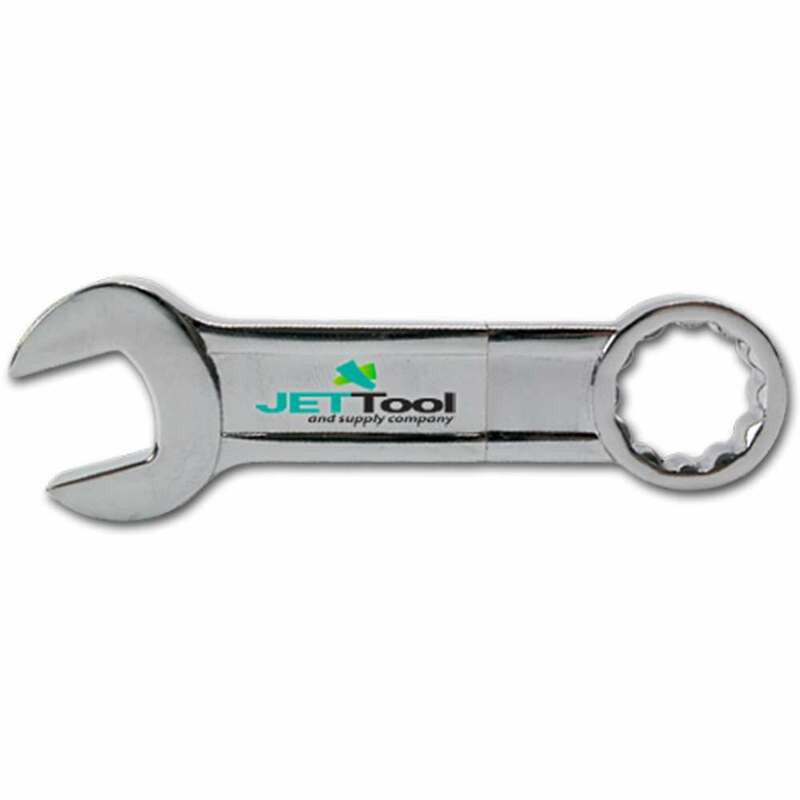 With a large area to have your company name and logo imprinted, this is definitely the perfect promotional gift for hardware, industrial, and appliance companies. This may not work like a real wrench, but you can be assured that your company's name will be impressed onto the lives of your customers. 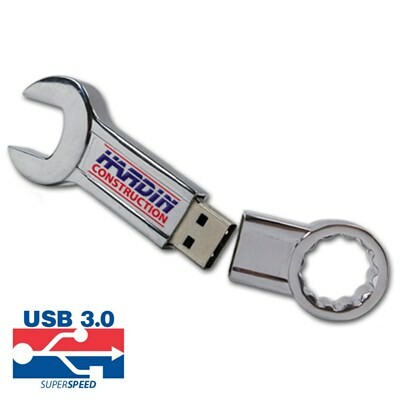 Not only will this wrench-shaped USB drive take care of the people's data files, it also takes care of your company branding. Go out there, brand your business and stand out as you let this branded USB drive secure your clients and your company's future. 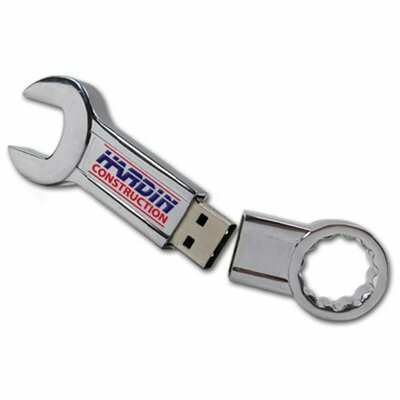 You need the right tools for success and that’s why we recommend the Combo Wrench promotional USB flash drive, a fun new way to advertise your company. 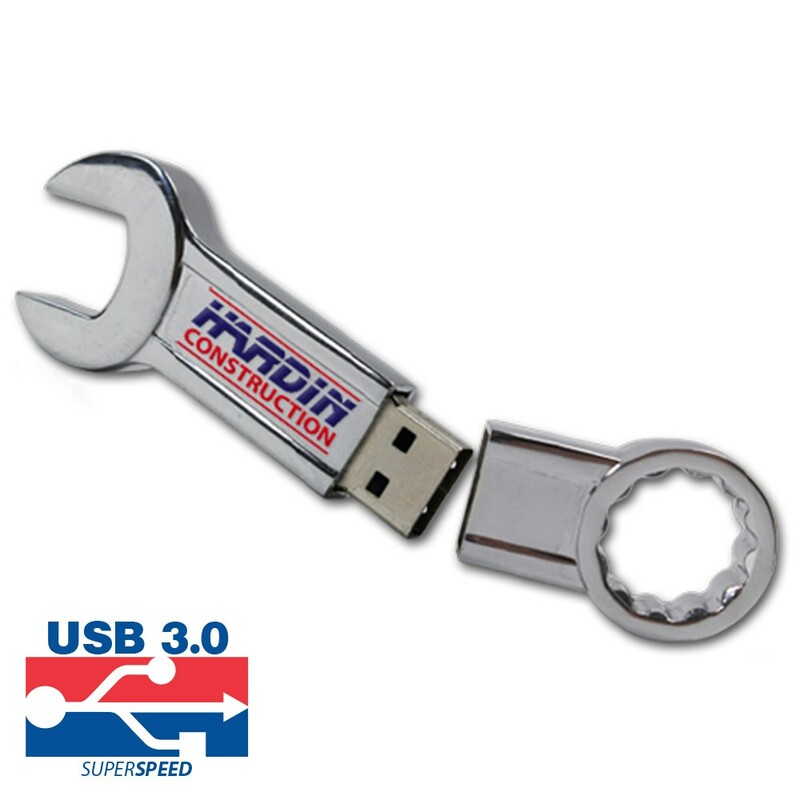 Shaped like a typical wrench that you’d find in any tool box, this cleverly disguised USB drive also offers promotional value with its printable space. Your custom printed logo or artwork can be printed right on the side. The practical data storage capabilities of this drive make it unlikely to be thrown away or unused; customers will see your company name each time they move files or store photos! It comes with either USB 2.0 or 3.0 and a wide range of data capacities.